Join us each month to create and stitch beautiful embroidery designs. We select wonderfully digitized projects from a variety of embroidery design companies: Anita Goodesign, Sweet Pea, Pickle Pie, Urban Threads, Kimberbell, Susan O’Very and more! All levels of embroiderers encouraged. The hands-on embroidery classes will take you from beginner to expert as you learn fabric choices, thread choices, hooping, stabilizers, and techniques. Embroidery machine required - all makes and models are invited. If you don’t have an embroidery machine, you are welcome to use one of ours. *Monthly design CD and kit purchase required, payable at registration. 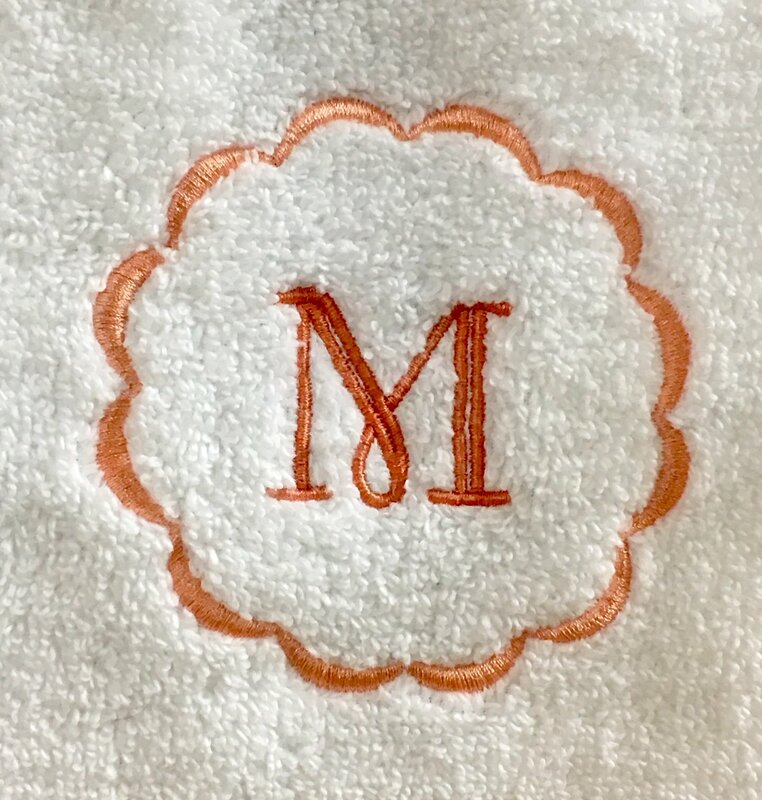 April: Our April Embroider Workshop will feature an Anita Goodesign Monogrammed Terrycloth Wash Cloth. We will go over different types of monograms and frame styles as well. Great project for gifts. May: Our May Embroidery Workshops will feature Sweet Pea Designs "Eucalyptus Coasters". We will complete two coasters in the hoop during class. June: Our June Embroidery Workshops will feature Sweet Pea Designs “Celtic Love Heart Table Centre”. During class we will get started on the table mat. July: Our July Embroidery Workshops will feature Sweet Pea Designs “Eucalyptus Wreath or Table Round”. During class we will complete 2 of 8 wedges of the piece. August: Our August Embroidery Workshops design will be announced at a later date. Requirements: Monthly design CD and kit purchase required, payable at registration.